H&A TOERE specialise in organising and presenting multi-day cycling tours throughout South Africa. 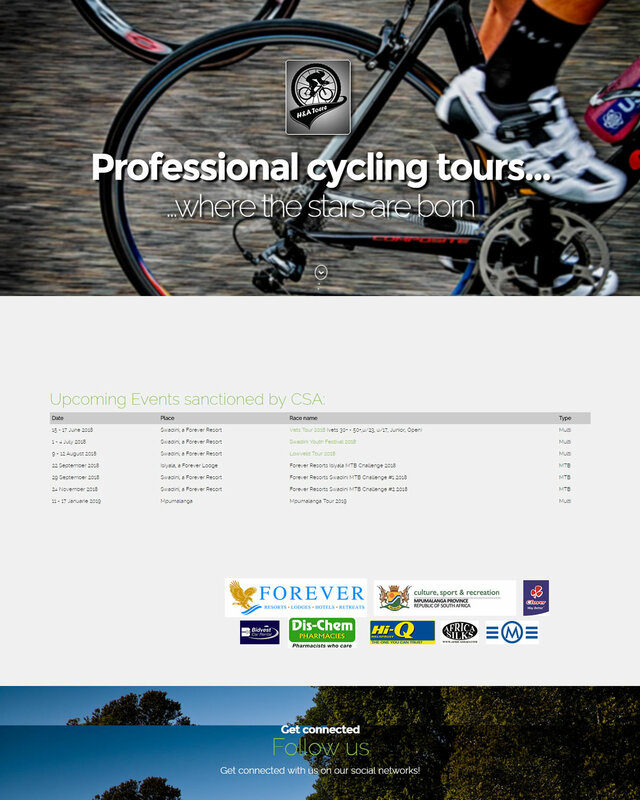 H&A TOERE contracted SES WEB in 2015 to build them a brand new website that will enable them to display their upcoming cycling tours and race results using the Joomla! CMS platform. 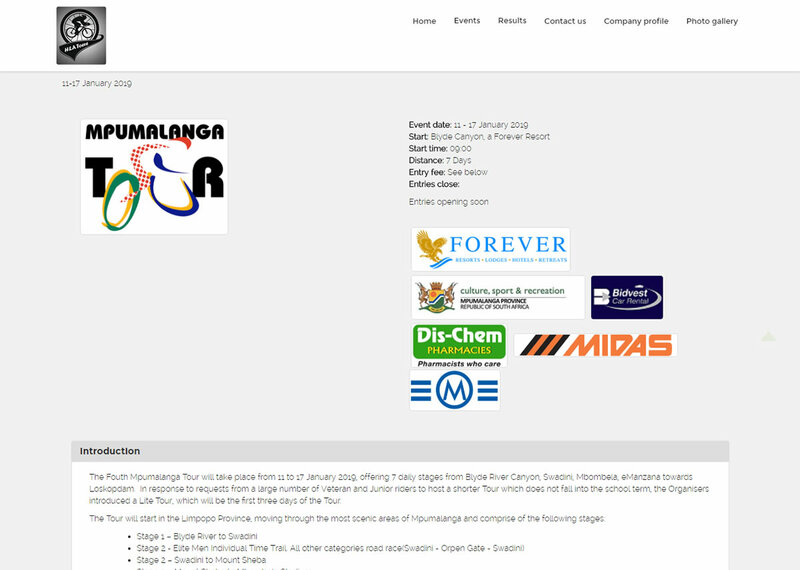 The H&A TOERE website was developed as a once-off project and handed over to H&A TOERE to be administrated internally. SES WEB also provided the necessary training to H&A TOERE delegates to perform the administrative tasks.